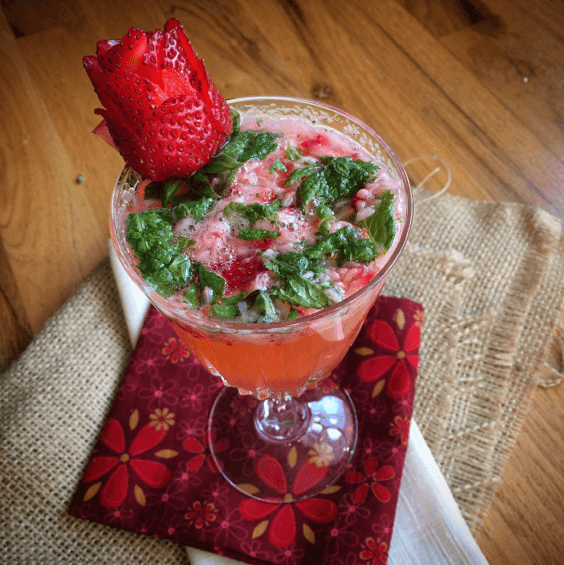 If you are feeling extra creative, you can make little strawberry roses to top off your cocktails. If not, not to worry! This recipe is super simple and you can whip up a tasty batch of cocktails in seconds. Traditional mojitos use rum, but I used vodka since that is what I had at the time. If you are a texture person, I would recommend straining the mint and strawberries out of the drink after muddling. One quick tip, if you don’t have a muddler, try using the end of a rolling pin! 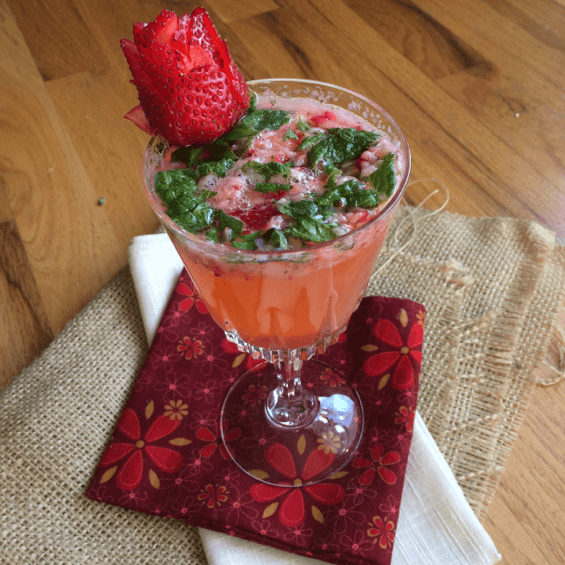 Muddle mint leaves and strawberries.